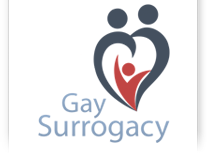 Thailand remains to be a gay surrogacy friendly locale. There is no discrimination in Thailand, which allows gay surrogacy to be an option for everyone including gay male couples and singles and lesbians who wish to build a family. Backed by our elite fertility clinics, gay surrogacy in Thailand includes world-class IVF experts, with decades of experience. Our leading surrogacy specialists include professionals who will coordinate with you through the entire process and keep you well informed on the progress of your surrogate and baby. Under the Thai Civil and Commercial Code when a baby is born to an unwedded mother, she is the sole individual who has protection under the law with respect of her child. If a baby is born to a mother who is wedded, she and her spouses are the only persons who has the protection under the law regarding the child. Under section 1546, of Thai Civil and Commercial Code, the father of a child who is not married to the mother at time of birth has no rights over his baby even if his name is recorded on the birth certificate and has a DNA test showing that he is indeed the biological father.